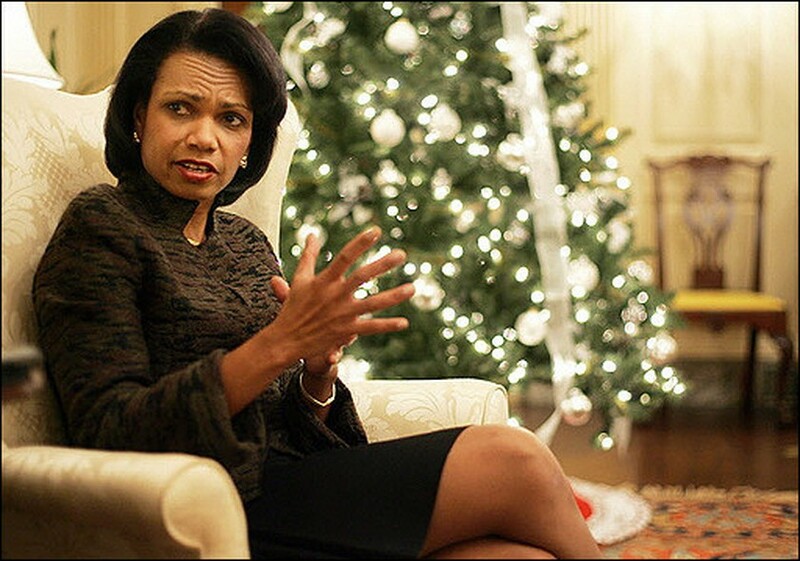 The US has finally signed on to a European draft resolution imposing sanctions on Iran over its nuclear program and is optimistic it will quickly pass through the UN Security Council, Secretary of State Condoleezza Rice told AFP in an exclusive interview. Rice said she was "optimistic" the resolution aimed at convincing Iran to suspend its nuclear enrichment program, would pass soon, though she stopped short of predicting a final vote before the end of the year. "It has to be voted soon. I think this has gone on long enough," she said. The six major powers dealing with the issue -- Britain, China, France, Russia, the United States and Germany, have been negotiating for weeks over the terms of a sanctions resolution. But agreement proved elusive as Russia and China objected to an earlier European draft as too harsh, while Washington felt it did not go far enough. But Rice said on Monday that she was satisfied with the latest version, notably because it will be voted under Chapter 7 of the UN charter, which makes the measures mandatory for all UN members. "It would make very clear to the Iranians that they are not going to be able to pursue this program and remain integrated into the international system and I would hope would give them pause so they might consider coming back to negotiations," she said. The text, a copy of which was obtained by AFP, would mandate a ban on trade with Iran on goods related to its nuclear and ballistic missile programs and impose financial and travel restrictions on persons and entities involved. Despite Russian objections, it includes a list of a dozen Iranian officials directly involved in their country's nuclear and ballistic programs who would be targeted for UN sanctions. The list includes officials associated with the Natanz nuclear fuel processing facility and with the heavy-water reactor Iran is building in Arak as well as Iran's Revolutionary Guards chief General Yahya Rahim Safavi. Tehran has consistently rejected UN demands that it halt uranium enrichment, a process which can provide fuel for nuclear reactors but, also in highly refined form, material for the core of a nuclear bomb. The West claims Iran is running a secret nuclear military program parallel to its civilian one, an allegation strongly denied by Tehran which says its nuclear ambitions are entirely peaceful and aimed at producing electricity.